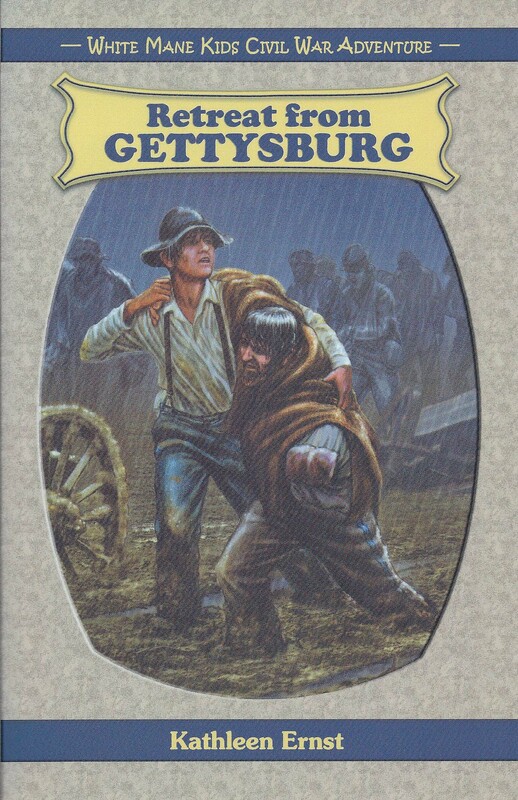 The first two novels I had published were both set during the American Civil War. After they came out, a number of people suggested that I write a story about Gettysburg. It’s certainly one of the most famous battles of the Civil War. I was hesitant, though. Many wonderful novels had already been set against that battle. Readers often give me suggestions for future books. Usually I explain that I have more ideas of my own than I will ever have time to explore! But this time, I was curious enough to do some research. 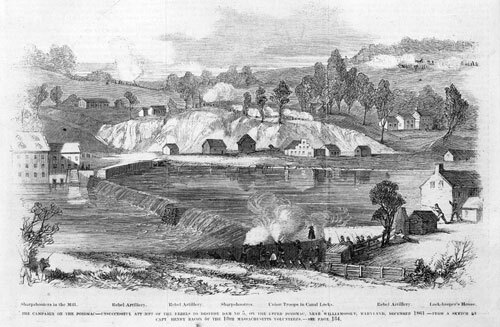 I learned that after the battle, flood waters trapped the retreating Confederate Army in the little border Maryland town. The Civil War almost ended, right there. I grew up in Maryland. How come I’d never heard about this? When I tried to imagine what the Williamsport civilians experienced during those tense days. I knew what my next book was going to explore. Williamsport sits on the banks of the Potomac River, within sight of the Virginia shore. After the Battle of Gettysburg in 1863, the defeated Confederates knew that if they could reach Virginia, they’d be safe on their own soil again. When they arrived in Williamsport, however, there was no way to get across. Everyone knew the Northern army couldn’t be far behind. Civilians lived in an agony of suspense, wondering whether another horrific battle might start in the streets of their town. 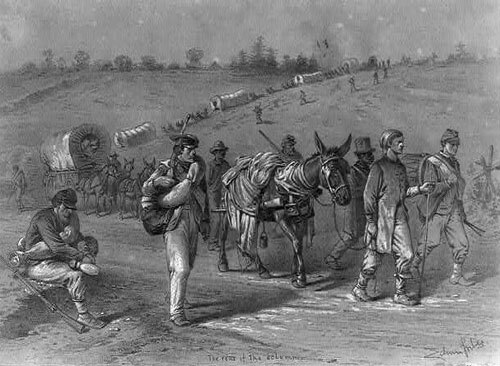 The Confederate Army overwhelmed the village. Some civilians were turned out of their homes. In other cases, soldiers took control of only part of the house, allowing the family to use other rooms. The main character in Retreat From Gettysburg is Chigger O’Malley, a young boy of Irish descent living with his mother in Williamsport. Chigger’s older brothers and father have all died while fighting for the Union. 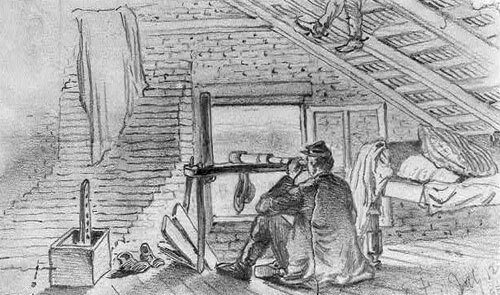 When the Confederate Army arrives, a wounded Southern soldier is placed in the O’Malley cabin. Chigger struggles to decide how he, as the only O’Malley man left, should respond. 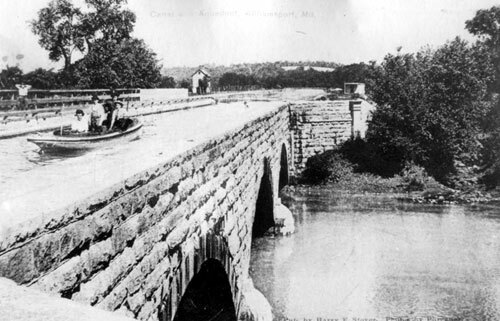 The C & O Canal was, and remains, an important part of Williamsport’s identity. The photograph below shows an amazing feat of engineering, an aqueduct. 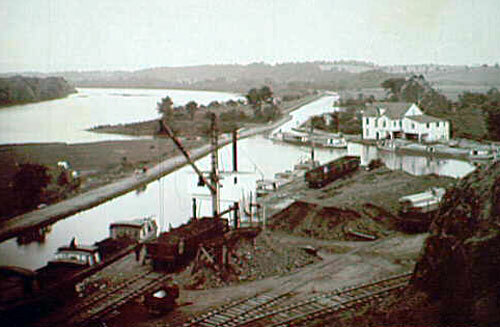 By 1900, canal traffic was so heavy that a basin had been created to allow for loading and unloading. Williamsport is a great place to learn more about the C & O Canal National Historic Park Visitors’ Center, located in the old Cushwa Warehouse. Within half a mile you can see Lock 44, a lockhouse, a re-watered stretch of the canal, and the Conococheague Aqueduct. In Retreat From Gettysburg, Chigger had some hard choices to make. If you have the chance to visit Williamsport, take a stroll and imagine yourself back in his world. What would you have done? This entry was posted on July 7, 2013 at 9:40 pm and is filed under Retreat From Gettysburg. You can follow any responses to this entry through the RSS 2.0 feed. You can leave a response, or trackback from your own site. Another one to add to our family reading list! Please enter me! I’m sure we would enjoy this one, too. I love your posts; they are so interesting. Thanks for having the giveaway. My kiddos and myself would la la LOVE this!